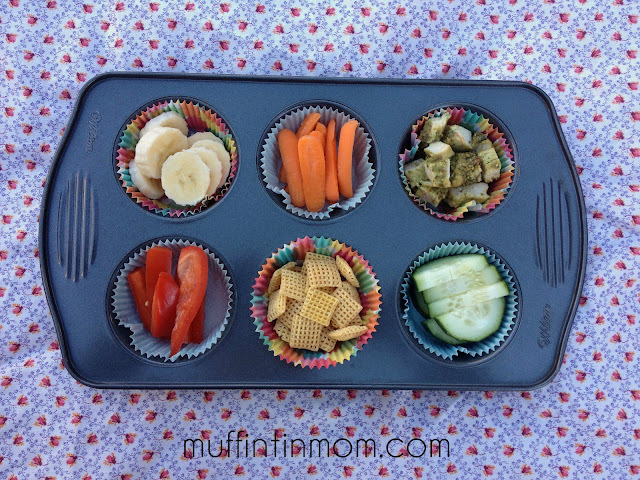 Welcome to Day 29 of 30 Days of Muffin Tin Meals for Kids. Curious about Muffin Tin Meals? You can learn about it by clicking on the FAQ page. In short, it's a fun and creative way to serve food to toddlers, preschoolers and kids. This is a muffin tin meal from last February that I thought would be fun to share. The vegetables and fruit make up the majority of the meal. There is still an appropriate amount of protein, it's just not center stage.